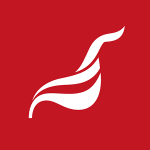 February 18th: Unite today said that the State has an obligation to protect deferred Dublin Airport Authority and Aer Lingus pensioners, who will be exposed to cuts of between 40% and 60% of their accrued entitlements in the Irish Aviation Superannuation Scheme. The union, which is currently seeking legal advice on the options facing the deferred pensioners, also said that the situation highlights the failure of successive governments to enact robust pension protection legislation. “While existing pensioners enjoy legal protection, and those currently working for DAA and Aer Lingus are protected by industrial relations mechanism, deferred members – former employees not yet of pension age – have been left without any protection. As employees, they had no option but to join the IASS – and now they are being left high and dry in what can only be described as legally sanctioned robbery. “While Irish-based former employees of DAA and Aer Lingus are facing a collapse in their entitlements, it is ironic that their UK-based colleagues, who are members of the same pension scheme, will have their entitlements protected under the UK’s superior pension protection legislation. “In the short term, the Government needs to step in to protect the deferred pensioners. In the medium term, they need to enact robust pension protection legislation – not only to protect the workers concerned, but also to restore public confidence in our pension system”, Richie Browne concluded. This entry was posted in Press Releases, Republic of Ireland news and tagged Aer Lingus, DAA, IASS, pensions, Richie Browne, Unite ROI. Bookmark the permalink.